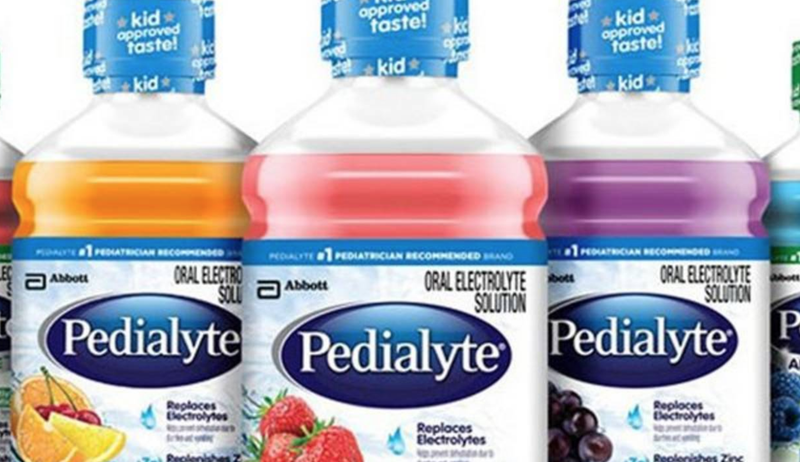 Pedialyte is freeing itself of the stigma that it is only a drink for small, dehydrated children, and subtly rebranding as the hangover cure I have long known it to be. The beloved beverage has pretty much always advertised itself as dehydration prevention for children and adults. Now the company has taken the additional step to market a product specifically for adults, which is low-key being promoted as a hangover cure. KTVU reported last week, that Pedialyte is hawking flavored fizzy water for adults called Sparkling Rush. Would drink. The New York Post, which picked up the story on Wednesday, noted the growing discourse surrounding Pedialyte holiday survival kits on Twitter. Check out these Instagram strangers quelling their hangovers and getting “Pedia-Lit” in the Big Easy. Personally, I always keep Pedialyte sticks in my freezer and occasionally enjoy them as hangover popsicles. They are also great for other maladies and discomforts, such as flu, cold, anxiety, a torrid August apartment, and so forth. Where do I get my Pedialyte swag this holiday season? I am actually their #1 fan.